The original SignWriter software was designed to typeset Ancient Egyptian hieroglyphics using the MdC format for my own personal use. I started creating the software in 2000 and released a free version in 2001. The editor development is still progressing but the main focus at the moment is the SignWriter Online Service. 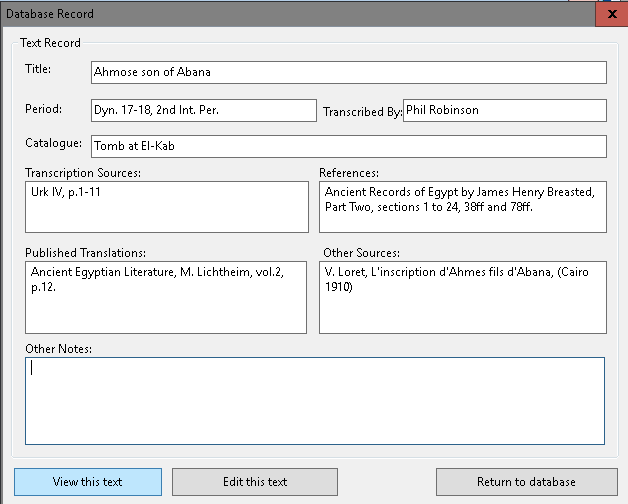 A fully featured system for transcribing and reading Egyptian Hieroglyphic texts. You can create new texts, or edit existing documents using MdC codes. The SignWriter editor application is completely free, fully functional and available to download right away. There are no disabled features, no adverts, no license required, updates are free and it never expires. 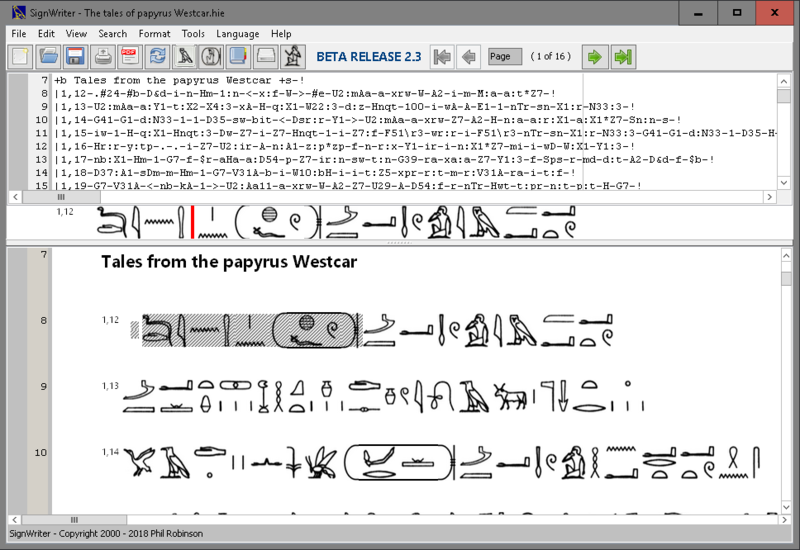 Part of this project is to create an electronic hieroglyphic dictionary with fast searching. This enables you to look up words quickly in English or Egyptian and the current dictionary has over 25,000 entries. The dictionary contains references to source, examples, and can be searched using English, Egyptian, Coptic or Transliteration (MdC). All of the signs used in SignWriter are listed with detailed information about each sign and its usage. The hieroglyphs are organised according to the sign list in Egyptian Grammar by Sir Alan Gardiner. It also includes signs categorised by shape to help you find signs when you are uncertain of which category they should be in. It includes; common signs, tall narrow signs, wide low signs, small signs. 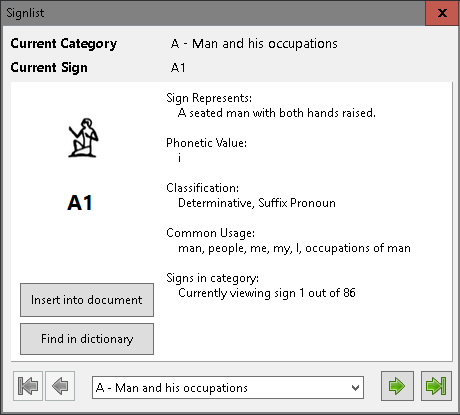 Once you have found the sign you are looking for, you can then find all the dictionary entries that use that particular sign at the click of a button.